You know when you find a great new store and you tell all your friends about it? Well today I want to share with you a wonderful source for inexpensive table decor and party supplies. Because friends don't let friends buy ugly decorations, right? Or pay too much! My 'secret source' is Luna Bazaar. I always thought they just sold paper lanterns. But they carry so much more! 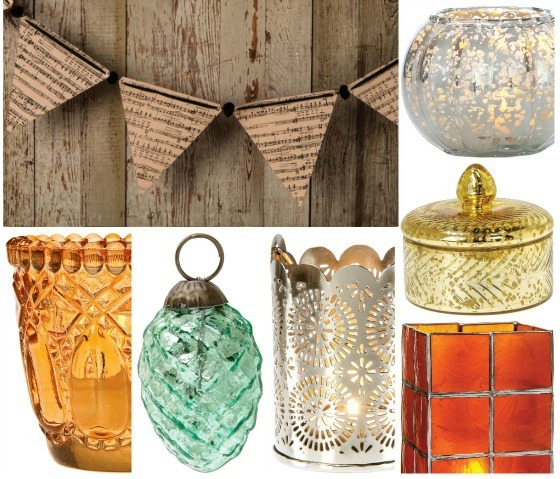 Here's a sampling of the awesome products they offer for your decorating pleasure that caught my eye recently. I could see these fitting perfectly with Fall, Thanksgiving and Halloween (but really, they'd work any time of the year!). Many of their items are vintage inspired for that unique, thrift-store look that a lot of us love. Their prices are crazy affordable - many well under $10. Their huge variety of mercury glass ornaments are only $1.60 a piece!! I'll definitely be ordering a few pine cone ornaments for my Christmas tree this year! I can't decide between the aqua/green or the silver (shown below). Maybe I'll get a few of each! 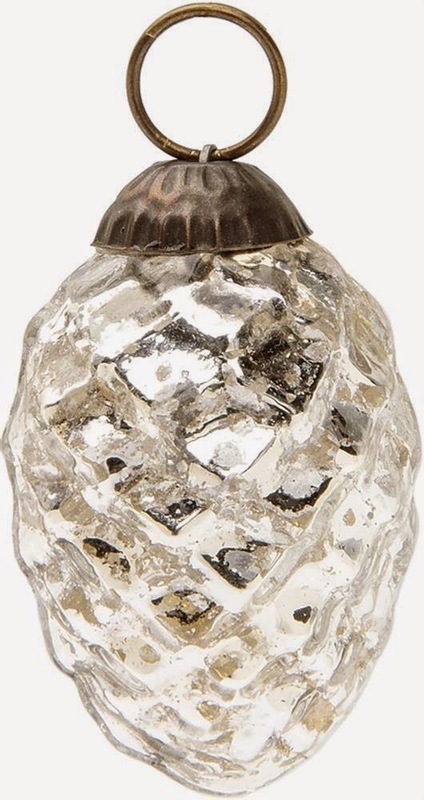 This Gold Mercury Glass Decorative Gourd is one of my favorites too! Of course they have it in silver, and they have the traditional pumpkins too...I just thought this gourd was too cute! You can find decorations to suit any season, or occasion (birthday parties, weddings, etc) that you can think of! 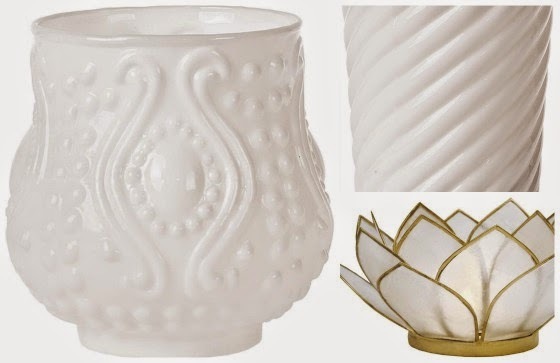 And if you're in love with milk glass as much as I am (but have trouble finding it), they have a beautiful selection of reproductions and the prices are awesome! The style ranges from Bohemian to Vintage to more Modern. The holders shown below are all under $10. The very, very best part? As a Luna Bazaar affiliate, I am able to offer you, my friends, a discount!! Woohoo! Here are the links to their October deals..
Save 15% off on orders $99+ at Luna Bazaar! Enter code 15PERCENT99 at checkout. Save 5% off site wide at Luna Bazaar. Enter code LUNASAVE5 at checkout. Thank you Canada...for sending your cool weather down south this weekend. I cannot wait! Love those mini pine cones. Thank you for the source. You're welcome Di, it was too good not to share...esp with the discount codes! Have a great day!